Grab your bike, your walking shoes or hop on a bus & come on down to the Car Free Festival on Sunday, June 20th! I’ll be hanging with the folks from Blim at 17th and Main Street (with an outdoor table – eep! 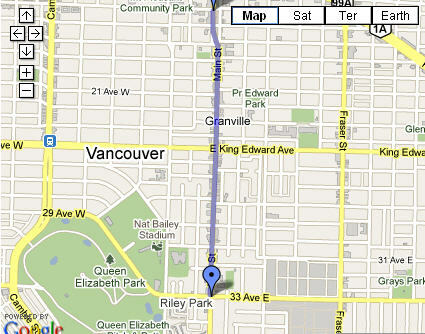 ), but festivities are popping up all over Vancouver, from Commercial Drive to Kits. Yay! I wandered around the last couple of years as a participant? non-vendor? pedestrian? & always really enjoyed myself. It’s so lovely to be able to stroll the streets & there is plenty of entertainment. One year I settled into the drum circle (they provide the drums & promise not to laugh). Last year the mister and I mostly just ate yummy things, shopped for pretty things and listened to the local bands that were belting out tunes up and down Main Street. There are lots of activities for kids too, so don’t hesitate to make it a family ride. Those with fur babies don’t seem to be shy either! I’ve spent most of today trying to figure out how exactly to set up my table so that gusts of wind won’t send my wares flying. If it rains…I don’t know. Most of my table display are old wood crates that are sturdy enough to haul my goodies around, but are hardly moisture-resistant. I’d really prefer they don’t get wet either. So…I’ve still got some puzzling to do, but hopefully the sun will be shining & it will be a non-issue. Previous postYou Gonna Eat That? Next postProduct Testing: Will It Last?